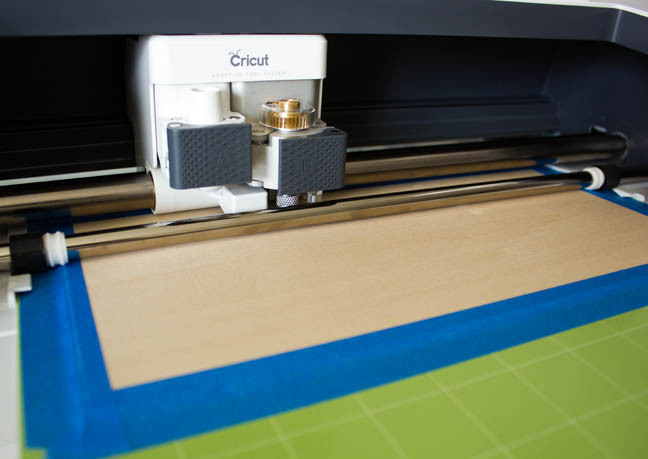 Ok fellow Cricut Maker owners, did you do a happy dance when they finally released the knife blade?!? There were only 2 reasons I personally bought that machine since I'm usually team Silhouette. 1. Rotary blade 2. Knife blade. First, we need to design the words in Cricut design space. 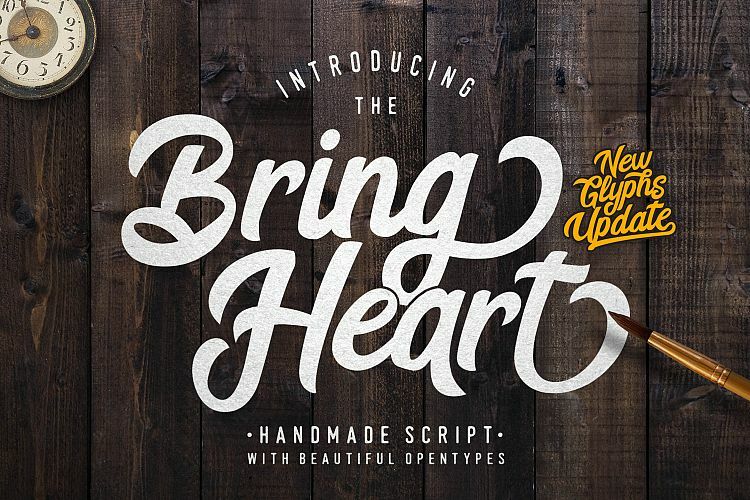 I'm using the font Fish Fingers from the Mega Font Bundle. I chose this font because Cricut said that tight corners are hard to cut and risk breaking the blade. I also loved the look of the font too! I made the height of the letters 2". 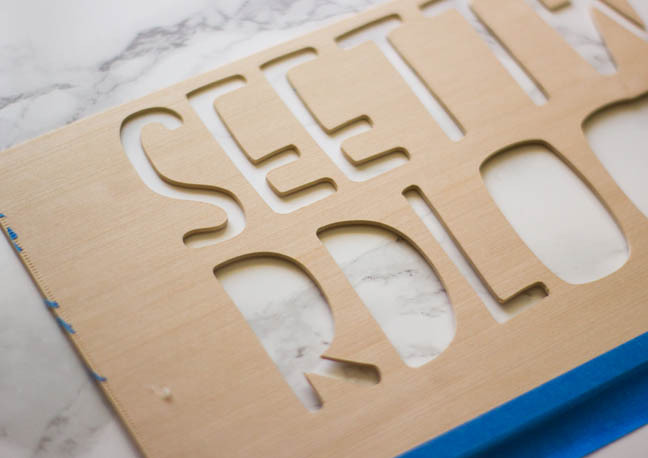 Again, I'm following tips from Cricut saying keeping the lines about a pencil width thick is the smallest they recommend going with wood. Next, I ungrouped the words so it would fit on the cutting mat well. Now let's prep the wood! I cut my section of wood down to 11" and then used painters tape to secure all of the edges down to the mat. You also have to move the white wheels to the edge. Then load the mat into the machine. Send it to be cut. I moved the letters around so it would fit on my section of wood. I didn't want it to get too close to the edges. Fair warning: This is not a 5-minute project!! It took about 45 minutes for the machine to cut my letters. It takes that long because it does several passes of cuts. I love watching this machine cut! 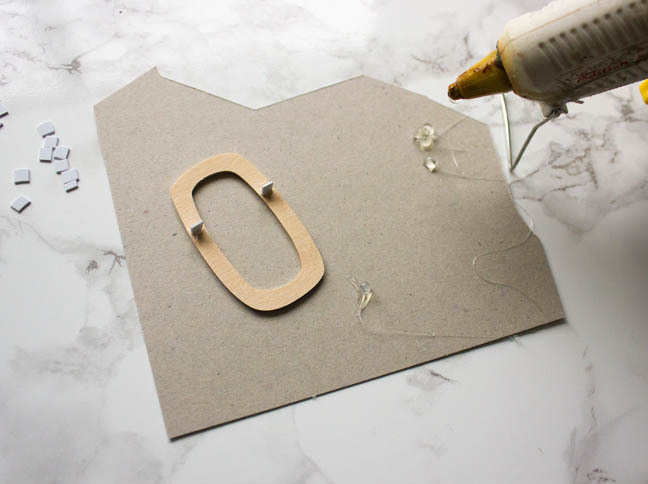 While that's cutting you can prep the plastic pieces that you'll glue to the back of the letters so you can attach it to the letterboard. 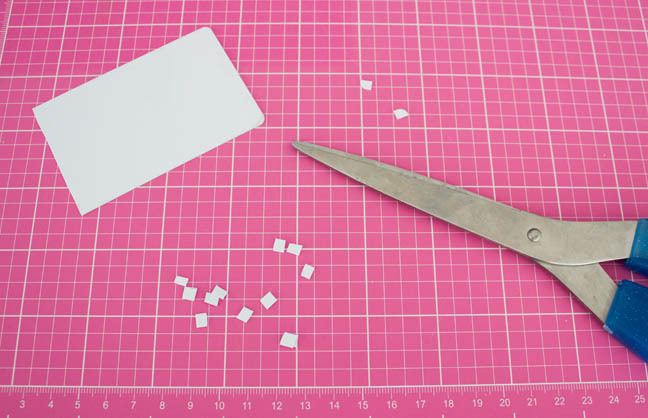 Simply take your scissors and cut roughly 1/8" square pieces. 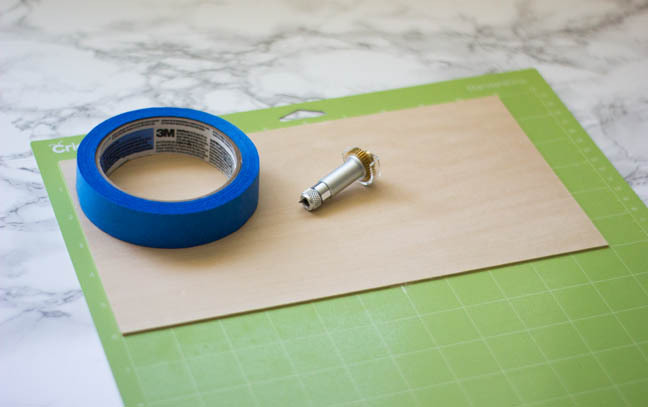 Get that glue gun heating up too! After it was done cutting I carefully removed the letters from the cutting mat. I think the wood sheet looks just as cool after!! 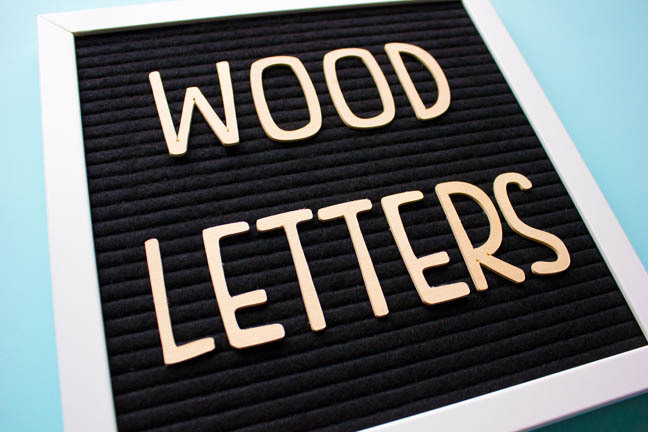 Take your letters and place them backwards on the letterboard to mark the lines so you know where to attach the plastic bits. 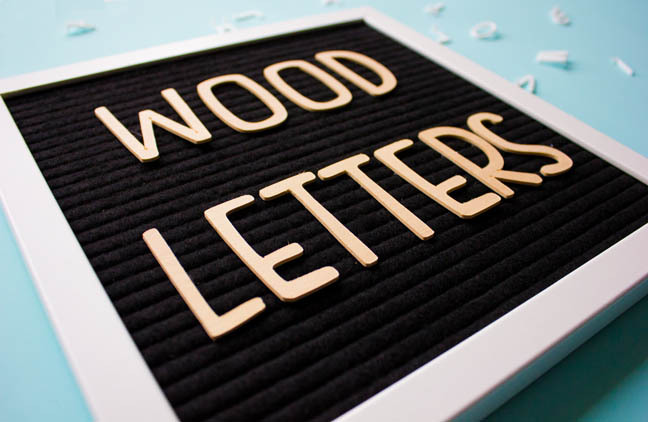 Carefully place some glue on the edge of a plastic piece and attach it to the wood letter. I found scraping it along the tip of the glue gun catching that tiny drip that comes out was the best way for me. Also, I realize it might be time to get a prettier looking glue gun, haha, I use it a lot! 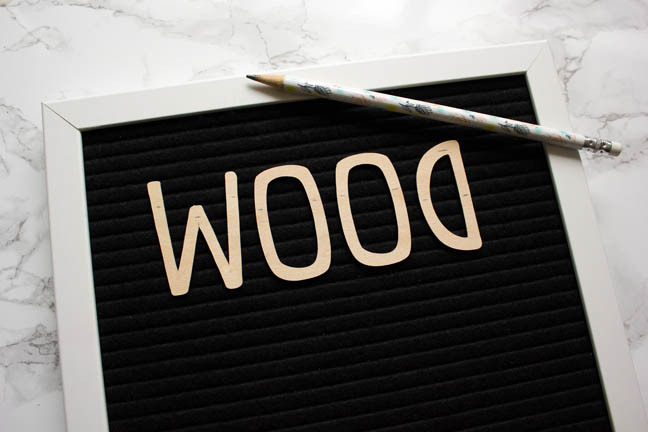 I'll show you my hack for placing the letters evenly on the letterboard too! I place them backwards on the board and line them up, then flip it over and stick it in the board. 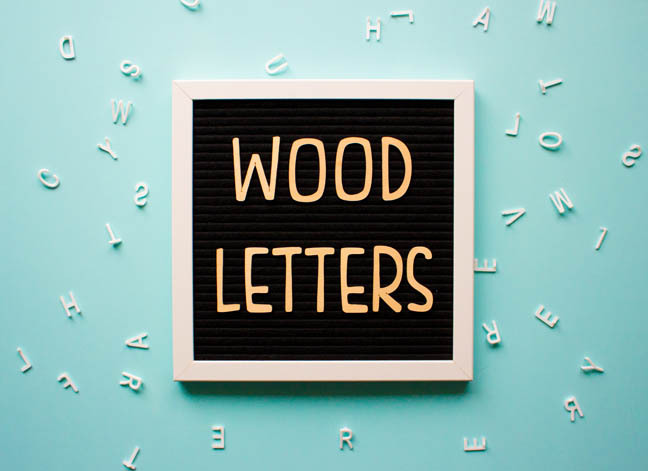 Now you can have real wood letters for your letterboard!! This would be so beautiful as your branding for a craft fair, the menu for a wedding or shower, or just artwork for your home! Seriously the possibilities are endless. 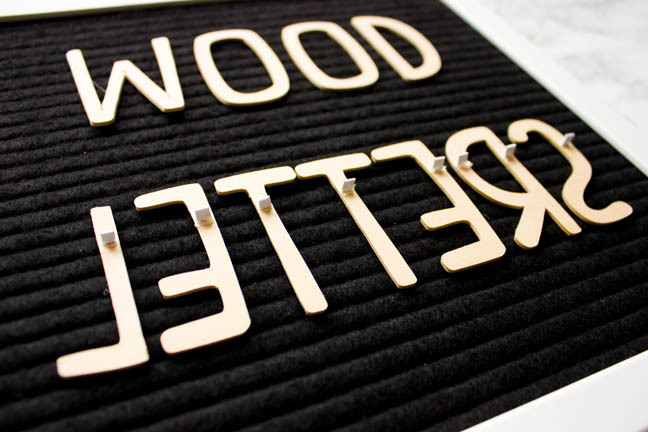 I love the dimension of the wood letters too!